The epilator is a valuable tool for any woman. In fact, it should be considered as an essential part of your beauty collection. An epilator can effectively remove hair from any part of your kin, whether the bikini area, underarms or even your leg and body hair. Once you have used it you will have enviable smooth skin. Removing unwanted body hair is a pain; physically and mentally. If you opt to shave you will need to do it every day or time; this is a time consuming endeavor! The alternative is waxing; which is long lasting but extremely painful. Fortunately the bikini epilator sits nicely in the middle. It is less painful than waxing. It also provides the same longer term benefit; making it a better option than the daily shave. Using an epilator, even on sensitive skin, actually becomes easier with time. As you become accustomed to the pain and some of the hairs stop growing back you will find it almost pleasurable. 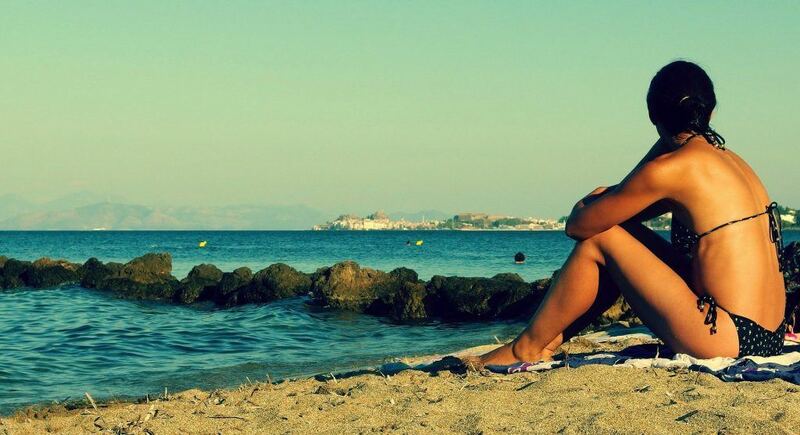 Some of the most sensitive skin on your body surrounds the bikini area; even if you just wish to trim your bikini line you will find it is one of the most delicate parts of your body. This is why it is essential to choose the best possible bikini epilator for comfort; this will ensure you achieve the smooth skin you desire and repeat the process regularly. If you try epilating in the bath or shower you will quickly realize it is much less painful than doing it dry. This is because the hot water will open your pores and make it easier for the epilator to remove the hair roots. However, to be able to use your epilator in the wet you will need to choose an epilator specifically designed for wet and dry use. This means it must be a battery operated device. The best epilator for comfort will have a dual speed setting. Lower speeds will remove less hair but will also limit the pain you are facing. This is a great idea for sensitive skin areas o if you are new to epilation. Which is the Best Bikini Epilator for Comfort? These epilator has two speeds and can locate hairs as short as half a millimeter! It comes in a stylish white with flowers printed on the outer case. The speed will help to ensure comfort whilst completing your bikini line, but, the best feature is how well it is designed. The Philips Satinelle Advanced will fit perfectly into your hand! This is a battery powered model which can be used in the bath or shower. This makes it an excellent choice for tackling your bikini area. 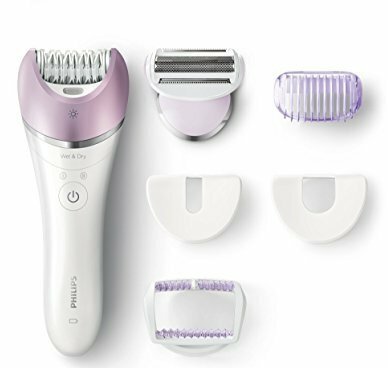 The epilator features massage rollers which work just behind the epilator blades; helping to soothe the skin immediately. 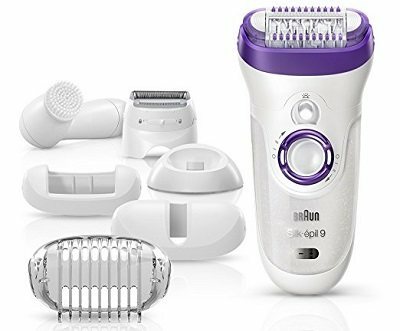 The Braun Silk-épil 9 also features a soft tip which lifts the hairs from your skin; allowing the tweezers to grab them effectively. 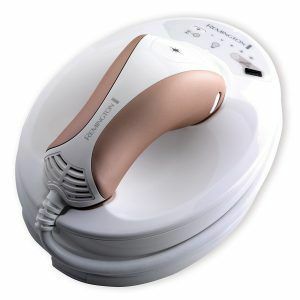 This device provides a comfortable yet gentle hair removal with sophisticated electronic help! The Remington iLIGHT Pro will scan your skin to make sure the epilator is in the right place. It will also check your skin tone to ensure the epilator will work properly for your skin tone and type. This is actually a laser based product and not a standard epilator. However, it is worth including as it can be used at home and works on the same basic principle. To ensure your comfort you can even set the energy level which will adjust to your maximum pain level and of course, it is one of the more expensive options. No matter what type of epilator you consider using, it is essential to assess how the unit feels in your hand; before you start using it. A comfortable grip allows you to focus on removing your hairs in smooth, even lines. If you cannot secure a good grip you are likely to miss hairs and leave the job unfinished.